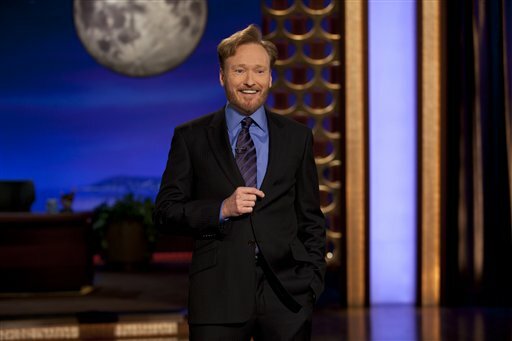 Note all the blue in his new set – a similar color scheme to his short-lived Tonight Show set. This wasn’t just to save money – it’s an old trick for anyone who is going on TV. Television lights are harsh, and tend to reflect badly off of white shirts, so many talking heads will make sure they have a blue shirt at the ready if called to do an on-camera interview. This is even more true for people with pale skin like O’Brien (who frequently pokes fun at himself over his ultra-Irish tone). Even something as seemingly minor as a blue shirt can have a dramatic impact on how an audience sees an on-air personality, and these visual cues are surprisingly important to the perception of the show’s content. 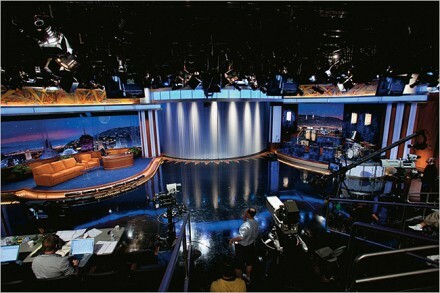 When O’Brien took over the Tonight Show – thus thrusting him in front of a new audience – the show’s producers likely recognized that they needed to do what they could to make the image that got beamed into the nation’s living rooms and bedrooms as visually appealing as possible. Rather than settling for a blue wardrobe, they went for an entire set. With the stakes arguably even higher for his new endeavor, the blue set came with O’Brien to TBS. Next ›Do you still get this joke?